1. 에이블리는 365일 전상품 무료배송! - 하나만 구매해도 무료배송 해드려요. 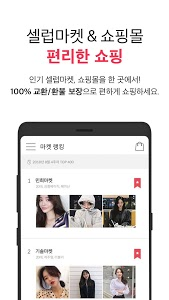 - 여러 마켓에서 구매해도 배송비는 언제나 0원! 이 모든 것을 경험하고 싶다면? * 선택적 접근 권한에 동의하지 않아도 에이블리를 사용할 수 있습니다. * 선택적 접근 권한 동의 상태는 ‘휴대폰 설정 > 애플리케이션 관리자 > 에이블리 > 권한’ 메뉴에서 언제든지 변경/관리 하실 수 있습니다. * 안드로이드 버전이 6.0 미만일 경우, 선택적 접근 권한을 개별적으로 제어 할 수 없으며 모든 권한에 동의해야만 앱 사용이 가능합니다. 선택적으로 권한을 동의하기 위해서는 디바이스의 운영체제 업그레이드 확인이 필요합니다. 1. 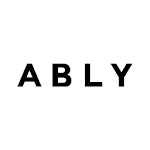 Avly is 365 days ago Free Shipping! - I will give you free shipping if you buy one. - Even if you buy from multiple markets, shipping is always 0 won! - I will pay you a purchase / late deposit that can be used as an integration even if you buy it from other market. What if you want to experience all of this? * You do not have to agree to the optional access privileges, but you can use it. * You can change / manage the optional access permission agreement status at any time from the menu 'Phone Settings> Application Manager> Avira> Permission'. * If your version of Android is under 6.0, you can not control the selective access rights individually, and you must use all permissions to use the app. Optionally, you need to verify the device's operating system upgrade to accept the permissions. - 마켓 상세에 유용한 정보들을 추가했어요. - 상품 상세에 Q&A 바로 가기가 추가됐어요. - 제품 상세정보 관련 버그들이 수정되었어요. 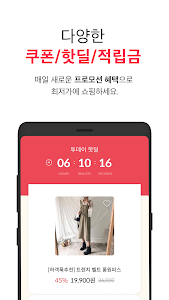 - 불편했던 작은 버그들이 수정되었어요. - 상품의 상세정보 열람 시 스크롤이 원활하게 이뤄지지 않던 문제를 수정했어요. 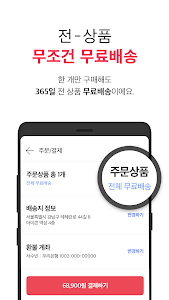 Similar to "에이블리 - 셀럽마켓 모음앱"